I saw a man wearing a black t-shirt with the letters OBEY emblazoned in white. All I could think was who wants to wear a t-shirt that screams I’M SUBSERVIENT? I envisioned a dog teaching this guy new tricks. I mentioned this to Lois. 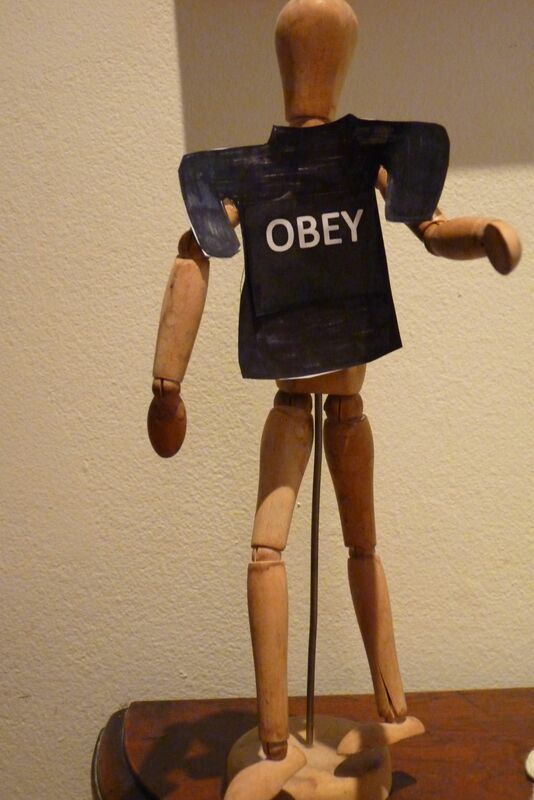 She tuned me in: OBEY is a pop culture status symbol, albeit she was not sure exactly what it symbolized. It didn’t matter, at least she knew it was out there in the cultural zeitgeist of cool and hip. It’s a clothing line. 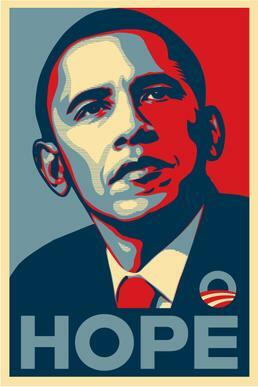 But more interesting is the fact that the man behind OBEY, is the same man as behind HOPE, the iconic poster of the 2008 presidential election. But the poster created issues for the artist Shepard Fairey because the Associated Press claimed he had not obeyed the copyright laws. The snafu was settled, and I just read that Fairey is about to start working on a new mural on the Bowery. So the point of the story is (a) I was reminded of how far right of 30 I am, (b) I am abreast of copyright lawsuits; and (c) I know what’s happening in the art world.